The all new Mercedes Benz C Class 2011 ranks top in compact executive cars class. Our review is based on analysis of various published car reviews for C Class 2011 and official website of Mercedes Benz UK. Mercedes Benz C Class is one fun to drive vehicle with a lot of interior room to accommodate adults for a long journey. C Class is fully loaded with features and safety kit even on the cheapest trim level. However, prices are high when you opt for advance features and sports trim. Mercedes claims that there are 2000 new improvements made to the new C Class. Mercedes Benz C Class may fall short in the competition because the hot favourite BMW 3 Series is applauded among the reviewers. While German rivalry is going to continue, Korean made Hyundai Genesis grab the market share and reviewers’ attention. Audi A4 Saloon is also a strong competitor and most of all liked by many buyers. C Class is built considering the wide range of buyers. C Class depicts the Mercedes Benz legacy of making comfortable and luxurious vehicles. If you are looking for sports aggression, then you need to expand your search to other models. It is a perfect daily commuter focusing comfort over performance and a perfect car for a family. Mercedes Benz C Class Saloon is available in different trims including C180, C200, C220, C250 and the C350. You can also choose the C Class Estate and C Class Coupe (reviewed separately). The price ranges from £25,075 to £35,595; you can check your local dealer for exact price including VAT and other charges. C Class was criticized for being underpowered, but now many things are improved. The petrol model C180 produces 156 hp with 250 NM of torque, quite sufficient to satisfy most buyers. You can choose between diesel or petrol engines. The C350 CDI V6 petrol is the most powerful which produces 272 hp with 350 Nm of torque. It will satisfy most buyers who need sports performance in this price range. However, the C63 AMG is the power aggressor built for performance. The Mercedes Benz C Class comes with Echo Start/Stop, which reduces emissions and fuel consumption. Fuel consumption in low performing engines is better with 18 mpg in the city and 26 mpg on the highway. The high performing C350 scores 17 in the city and 25 on the highway, which is quite adequate in the class. You can choose between 6 speed manual transmission and automatic transmission. The manual transmission offers the powerful drive, and it also includes Hill Star Assist that help you drive easily on hills. If you are going for automatic transmission, you can choose between various options like electronically controlled 5 speed automatic transmission, most outstanding 7G-Tronic 7 speed automatic transmission and you can also choose 5 speed automatic allowing you to shift manually. C Class is a perfect handler if you select the sportier version of the car. 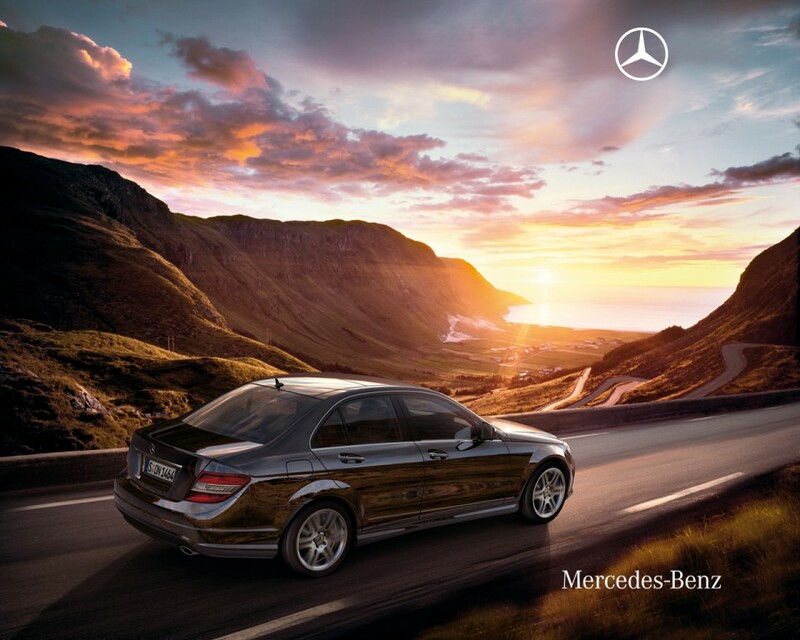 You can select the Dynamic Handling Package to get your hands on sports C Class handling. You can adjust the driving characteristics according to your needs with this package. There is another option you can select; Agility Control Package. This package makes your ride more comfortable and smooth without compromising performance and control. C Class is loaded with standard interior features with high quality features and more space inside. You can enjoy the luxurious comfort inside the car with more room to stretch your legs. You can choose the optional COMAND system to suit your needs. There is also two zone automatic climate control to provide comfortable travelling. Front row is comfortable fitted with adjustable lumbar support and partial electric adjustment. Mercedes Benz C Class is appraised by many reviewers due to its interior comfort and advanced COMAND system. It offers about 12.4 cubic feet of trunk space, which is about average considering the class. 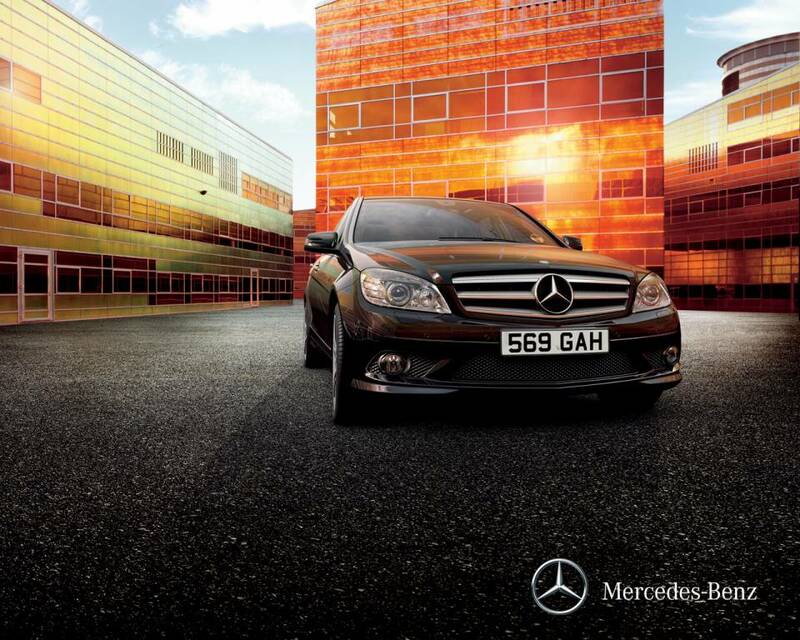 C Class exterior is remarkable with traditional Mercedes Benz logo star with chrome grille. The edges are more enhanced, and the theme is stretched to the rear. The sport trim comes with 17 inch AMG alloy wheels with 6 twin spoke. Mercedes Benz C Class receives the highest rating for its sharp and bold looks. Mercedes Benz produces one of the safest cars in the world. C Class comes with Pro-Safe; it is the integral safety concept that divides the car in four safety grades. The ergonomic centre console controller helps you to control entertainment and environment for safety. C Class is equipped with safety features such as Electronic Stability Program, Brake Assist, and the system that warns you about different safety concerns. Mercedes Benz C Class receives the highest possible 5 star rating for safety and security. Mercedes Benz is the most reliable car to get your hands on. It comes with 4 years or 50,000 miles warranty. Check your local dealers or visit the Mercedes Benz UK website to book a test drive.